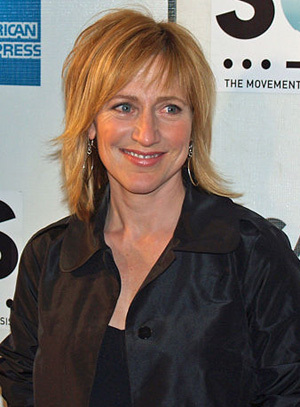 Edith “Edie” Falco (1963-), American actress. Falco is best known for her performance as Carmela Soprano on the HBO television series The Sopranos, and for her lead role in Showtime’s Nurse Jackie. For her role as wife of the New Jersey Mafia boss in The Sopranos, Falco has won two Golden Globe awards, three Emmys, and five Screen Actors Guild awards. Falco said that she takes very good care of herself now, but she did not always. During treatment, she started running every day to “feel calm and strong,” She suffered from nausea due to chemotherapy, and she gained weight from eating fatty foods, which were at times the only foods she could tolerate during treatment.